Love makeup but not sure where to start? 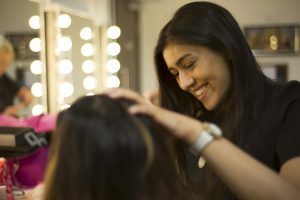 Then the MakeUp Pro course could be exactly what you’re looking for. 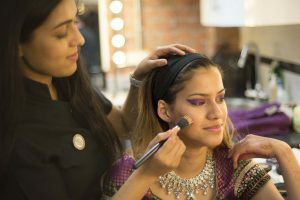 A short introductory makeup course that enables you to gain a good grounding and insight into the exciting world of makeup artistry. As well as learning all the above techniques you’ll receive our Chill Out Training Academy Certificate of Achievement which is fully accredited by The Association of Beauty Therapists (ABT). You’ll have spent time with industry professionals who, as well as teaching at Chill Out, are right up to date with current industry trends and techniques. Perhaps more importantly, you’ll be in a great position to decide what to do next with your new skills. As an introductory class, we’ve tried to keep the cost to a minimum. We will provide you with a set of free professional brushes. Makeup is provided on the course. During the course, you will be required to practice on your fellow students to ensure you get the best level of practice available. £200 deposit is required to secure your place. Refunds are not given unless you give a cancellation notice 7 days before the course is due to start. Brilliant Course – Fabulous Facilities! Looking forward to level 3! Love the Practical work! Jam packed ! I found different skin types and eyeliner techniques difficult but the tutor was great, really patient . Loved the different teaching techniques – especially the practical. The teacher and all of the demos and practical work. As well as meeting Amy, Joan and Sam, really enjoyed learning the correct techniques. Small group = more personal. It was perfect for my needs. Learning how to apply make up on each other. Also learning about products and how to apply them correctly. Learning all the make up techniques. Relaxed atmosphere which makes it easier to ask questions. Learning all the different looks, loved it. I liked the tutor’s knowledge and they have been so friendly and very helpful. Being able to apply make up to lots of different skin types and learning new techniques all the time. Everything really, mostly the teacher’s knowledge. The full course was amazing, I felt like I learnt a lot from the 8 weeks. Loved it was a small group so we had Jess’s complete attention she was amazing! I looked forward to class every week, the techniques taught are very relevant, the tutor was so lovely, very helpful, encouraging and supportive and very knowledgeable. Such an enjoyable course.